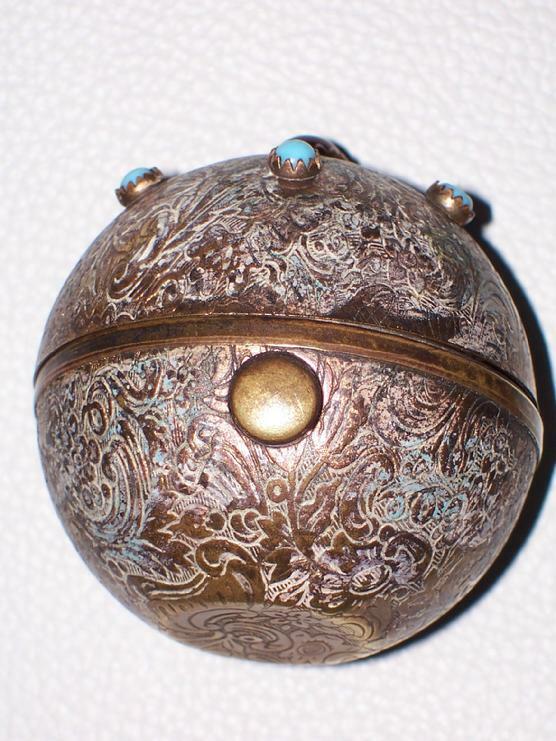 You are looking at unique Russian Imperial "Faberge Style"
vintage traveling inkwell in a shape of a ball, circa 1900's. 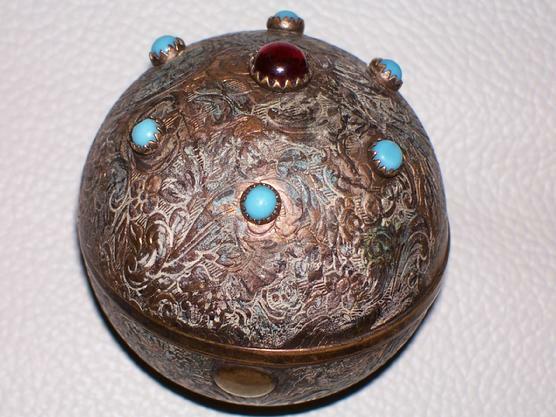 THE INKWELL IS WITH SPECIAL ALL HAND ENGRAVED CONTAINER IN A SHAPE OF A BALL, DECORATED WITH GARNET, AND TORQUOISE STONES, & WITH DOUBLE HEAD IMPERIAL EAGLE . 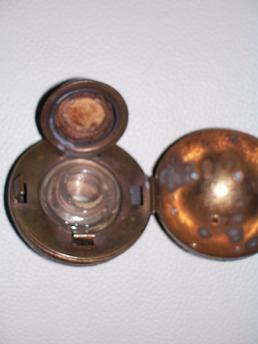 THE INKWELL IS WITH PROTECTIVE LOCKING MECHANISM, TO KEEP THE INK INSIDE WHEN TRAVELING. 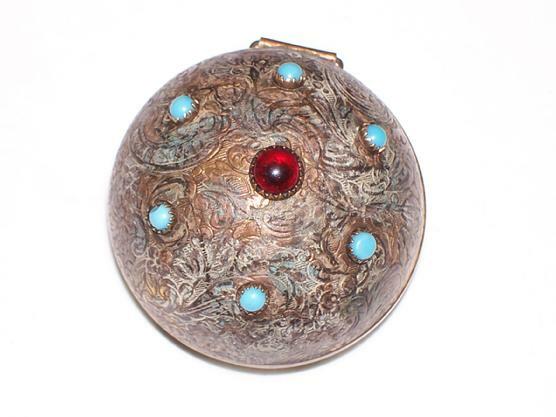 UNIQUE IN GREAT CONDITION ! 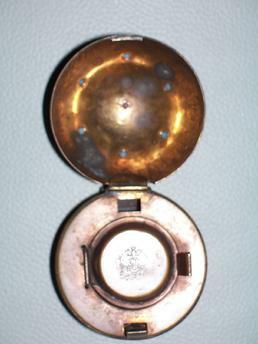 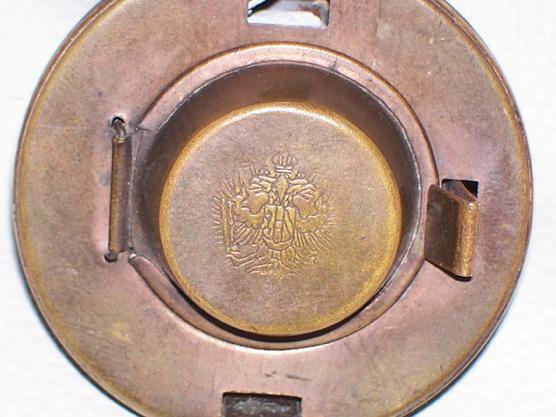 Russian Imperial Traveling Inkwell with stones.